Our new little girl, Aoife [“eee-fah”] Lydia Judith McLennan, was born Saturday, April 16 at 2:21pm at Ottawa’s Montfort Hospital. 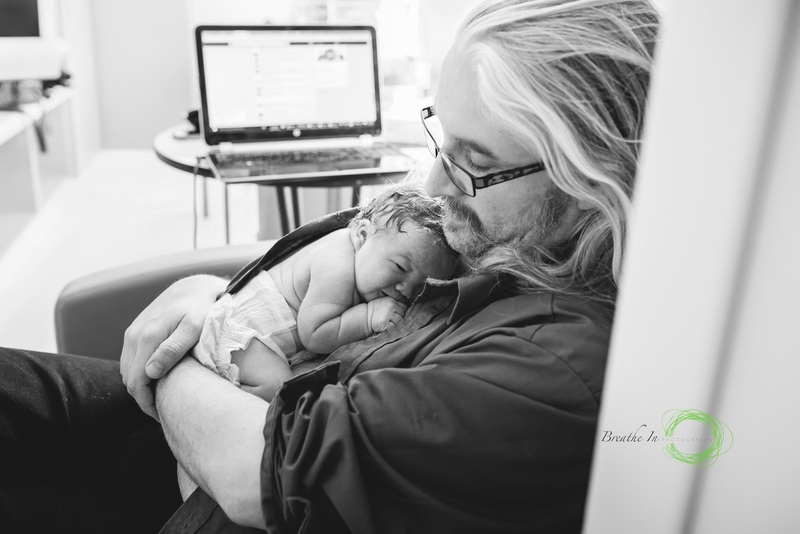 Due on April 18th (or 21st, depending on which version you believe), our little Aries arrived after a quick (precipitous) 2 hour birth at 8lbs 9.9oz and 19 ¾ inches long (head c. 36.5cm). 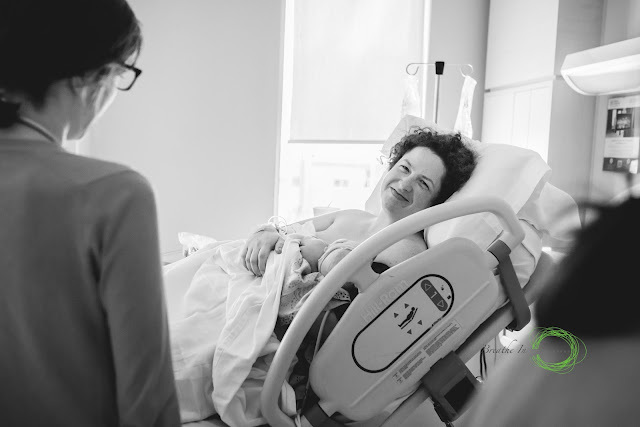 We very much thank our midwife Maxine and Marika from the Midwifery Group of Ottawa, doula Pia Anderson (who was heroic) and the hospital staff at the Montfort for all their help and support. And photographer Kim Brooks at Breathe In Photography! Aoife is the fourth grandchild on the McNair side, and the sixth (and final!) grandchild on the McLennan side, providing a new sister for toddler Rose [see her birth notice here], a second half-sibling for big sister Kate, as well as a new cousin for Emma, Rory and Duncan (on the McLennan side) and Duncan and Adelaide (on the McNair side). So many cousins! Curious to me, that now Christine and her brother (so far) each have two children, and my sister and I each have three children (and, another three days, and our Aoife would have shared a birthday with my dear sister). We’ve already had half a dozen requests for pronunciation. It might not be as common in North America, but in 2003, it was the third most popular Irish girls name for babies in Ireland. MEANING: “beautiful, radiant, joyful.” Known as the greatest woman warrior in the world, Aoife was the mother of Cuchulainn’s onlyson, Connlach. Aoife Dearg (“Red Aoife”) was a daughter of a king of Connacht who had her marriage arranged by St. Patrick himself. Lydia is Christine’s mother’s middle name, a name that also comes from mother-in-law’s maternal grandmother, about whom we know almost nothing (she died of TB in 1939, when mother-in-law’s mother was nine). And yet, do you remember the first episode of The Muppet Show, as Kermit sang that infamous Groucho Marx standard (it was apparently a Jim Henson favourite; the same song was sung at his funeral)? I’ve always been partial to the song as well, honestly. Judith comes from Judith Fitzgerald, who fought like hell against a difficult upbringing (for the whole of her life, it would seem). To have even a fraction of her iron will and survival instinct (sans trauma, obviously) would be a blessing. And: Judith was a friend of mine. See my obituary for her here. Judith was Christine’s suggestion: for both girls, we’ve aimed for three names in a particular order: name that is only theirs, name from family, and (as Christine has called it), aspirational name. After reading Fitzgerald’s obituary, Christine was impressed by her resilience, and suggested we consider it for our list. I immediately agreed. As of Sunday night, all are home, and all are doing well, if a bit hazy in places.